Hello and welcome to another week on planet earth! If you are a regular reader of my blog or follow me on Twitter you may have seen me mention my husband's redundancy which has now happened. Fear not he does have a new a job which is part time and I have increased my hours (we are having a role reversal) so it means I don't have the money to buy much in the way of clothes, but I don't want to neglect the blog and I think that most of what I own has now been on the blog leaving me worried about boring everyone! I decided to try another blog everyday challenge, so I have sat down and made a list of themes for each day in October. Now if anyone would like to join in then please do, even if you just pick and choose what suits from the list. If you do take part then please let me know so I can pop over and read your posts. 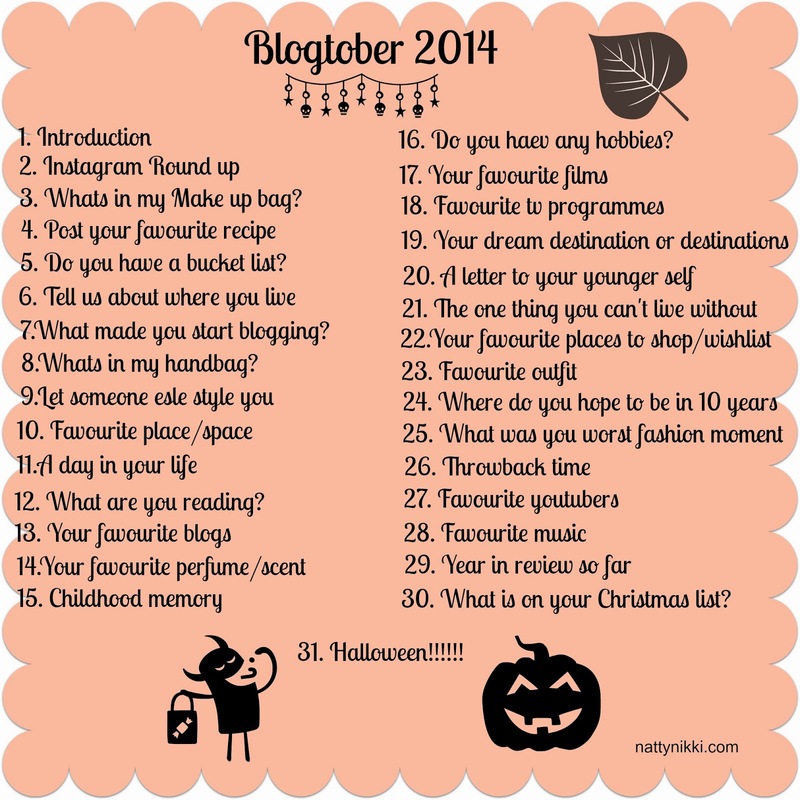 I do hope you enjoy my witterings throughout October and please feel free to join in!